The much-awaited Marvel’s film Avengers: End Game is now only a month away from its release. The fan theories are doing a round of the internet as soon as the trailer was released. Now, Marvel has released the character posters including all the important characters of the Marvel Cinematic Universe hinting at who all survived Thanos snap. 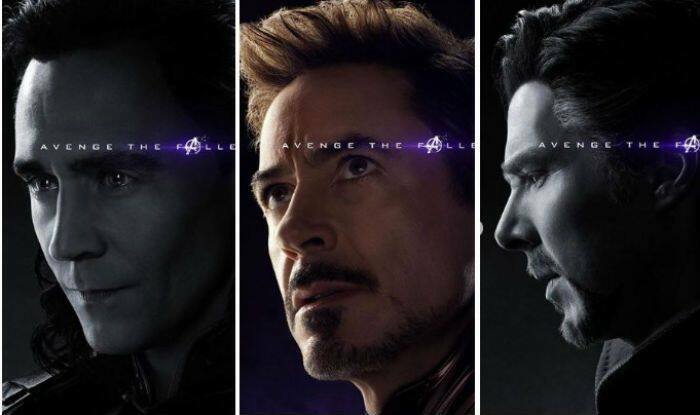 On the posters, it is written ‘ Avenge The Fallen’ with the avenger’s logo. The interesting part about the characters poster is the uniform pattern that all the characters that survived have coloured posters and those who haven’t survived have a black and white poster. We all know that many superheroes turned to dust after mad Titan’s snap. The big revelations in the poster are Valkyrie and Shuri who were missing from the Avengers: Infinity War. It has also left fans puzzled as she was on the ship from Asgard but seems like she has too survived. The superheroes that are confirmed are alive includes Tony Stark, Steve Rogers, Thor, Natasha, Bruce Banner, Clint Barton, Okoye, Captain Marvel, Scott Lang, Nebula, Okoye, James Rhodes, Pepper Potts, Rocket, Valkyrie, Wong and Happy Hogan. The superheroes that are apparently dead are Black Panther, Star-Lord, Gamora, Doctor Strange, Spider-man, Scarlet Witch, Vision, Nick Fury, Loki, Shuri, Groot, Hope van Dyne, Falcon, Bucky, Mantis and Drax. Earlier the trailer of the film was released which created a buzz on social media. In the trailer, Marvel heroes will fight Thanos in the final film and they will do anything to save the universe no matter ‘whatever it takes’. The trailer is set after the destructive battle of Wakanda in which Thanos wipes of half of the population and has left Marvel superheroes Iron Man (Robert Downey Jr), Captain America (Chris Evans), Thor (Chris Hemsworth) and Black Widow (Scarlett Johanasson) scrambling for a way to defeat the supervillain Mad Titan. The film is slated to release on April 26, 2019.